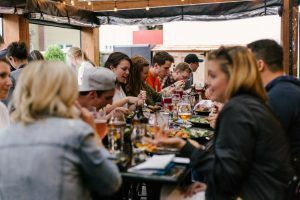 We have all seen ourselves in the situation of paying a group restaurant bill or sharing travel expenses with friends, and it goes without saying that it is not an easy task. For this there is nothing better than using applications that work as thinking minds and help us calculate common expenses. Say goodbye to the calculator and avoid defaults with your friends. From Marbesol we advise you some apps that you must have installed on your mobile to share expenses with your friends. The best way to keep track of accounts and make sure everyone pays their share is to use ‘Splitwise’, a very simple application that balances accounts and reminds you if you owe something to someone. 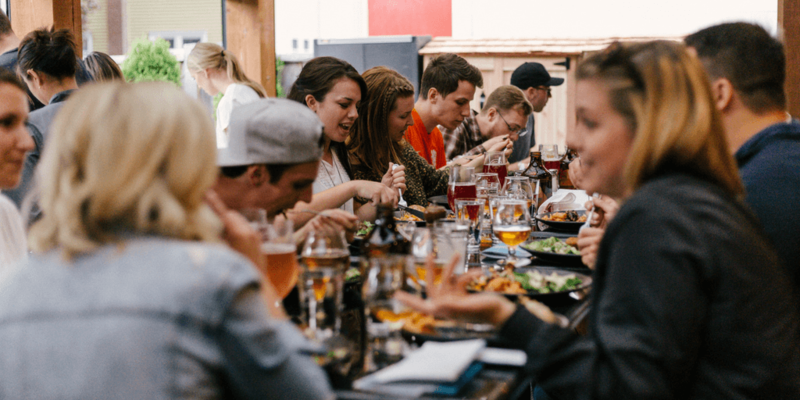 It is designed to share expenses in different situations, whether on a trip with friends, with your roommates or dinner at a restaurant. You just have to create a group in the app and enter the expenses and people who must pay for it, and the application will be tracking the total calculation, even send a “friendly email” to those who still have money. In addition, it allows payment via Paypal, which facilitates everything even more. You can download the application for both iOS and Android. When it comes to paying a group account, what works best is Bizum, an app to send and receive money with your mobile, instantly. A new way to pay expenses safely, easily and quickly, forget about making bank transfers and wait several days to receive the money. 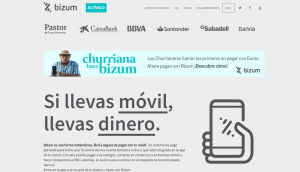 Many banks include it in their mobile application, such as Santander or BBVA, but others have created a separate app that works in the same way, such as Unicaja with ‘UniPay’, the download of the application is free and its service has no associated expenses or commissions. It’s as easy as creating an account, entering your friend’s phone number or simply choosing it from your mobile’s contact list, entering the amount you want to send, and Bizum is responsible for everything else. Soon, the application plans to launch two new services, such as ‘online shopping’ and ‘payment in shops’, which will work in the same way, transferring the money from one account to another. Twyp works in a very similar way to Bizum, but it is more complete. It is an application to send and receive money from your friends, pay at stores, take money at certain supermarkets, among others. It is an international initiative of ING Bank to make life easier for people. It is available in Spain and very soon we can use it in other European countries. To start using Twyp you just have to download the app and register, you only need a bank card, your mobile, a phone number and an Internet connection to pay your friends, et voilà! Taking money out of a supermarket is now a reality. Through the application ‘Twyp Cash’ you can have cash at the same time you pay with the mobile when making the purchase in a supermarket or filling the car deposit. It can be used in the stores of the DIA group and the Galp and Shell service stations. Take advantage of our Summer Offer! The best prices to rent a car in Malaga you will find in Marbesol. Get a 25% discount on our selected vehicles now. Reserve now! 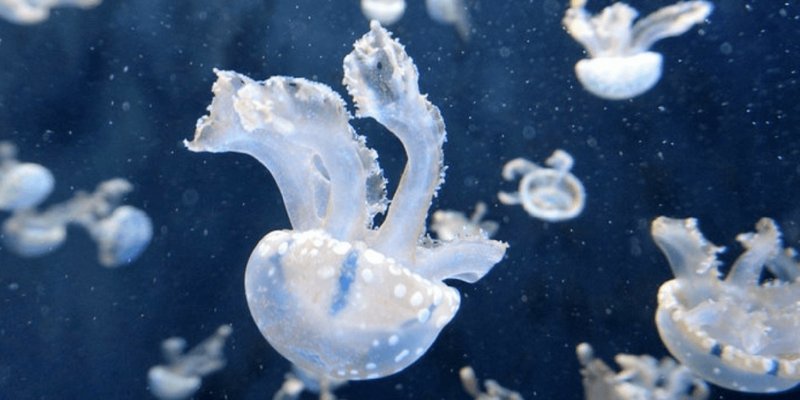 Now that we are in summer, would you know what to do if a jellyfish stings you? Check out our latest post and remember these tips to know what to do in case of sting and how to avoid them. What to do when a jellyfish sting you? The marine animals that most worry in summer to the malagueños, the jellyfish. Follow these recommendations to know what to do in case of sting or how to avoid them. In Malaga we enjoy wonderful beaches along its coastline, we have an unbeatable climate and the water has the perfect temperature to cool off in the hottest days, but, as in all beaches, there are times when certain marine creatures approach shore to pay us a visit. What happens when the people of Malaga hear the phrase: “jellyfish plague”? We can say that it is the nightmare of every summer, and that is, when the jellyfish travel the coast of Malaga from east to west, even if only certain days to summer, we feel it as the end of the world, since with the heat the only thing What you want is to take a bath and cool off. The species that most frequently visits the beaches of Malaga is the Pelagia Noctiluca, normally lasts about two and three days, but, do not be alarmed or afraid of it, only caution. 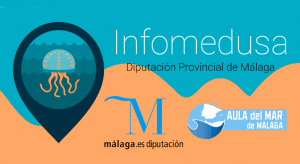 In addition, the Diputacion de Malaga and the Aula del Mar have put into operation an app called ‘Infomedusa’ to know at all times the state of each beach in the province. From Marbesol we want to mention a series of recommendations to follow to know what to do in case of sting and how to avoid them. How to avoid a jellyfish sting? Pay attention to the colors of the beach flags and follow the instructions of the lifeguards. Never touch the jellyfish. Although they are not alive, their stinging power persists. Stay out of the water when there are jellyfish and avoid the areas where the waves break, as this is where they tend to accumulate. 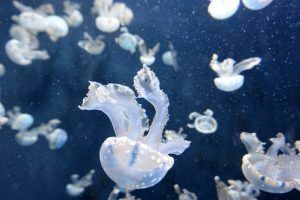 If you are bathing and you see jellyfish, leave carefully and tranquility of the water. What to do in case of sting? Go as quickly as possible to the post of ‘relief’ on the beach. Never scratch or rub the area of ​​the sting, since by effect of the pressure, the stinging cells tend to be activated. Clean the area with saline or seawater, but never clean the wound with fresh water. Apply cold intermittently to relieve pain for about 10-15 minutes. Use a specific ointment or pain killer. If you need to rent a car this summer to move around the Costa del Sol, trust Marbesol to enjoy your holidays. Choose the car that best suits you at the best price. Book now and take advantage of one of our succulent offers. Check out our latest article about upcoming concerts and festivals in Malaga for this summer 2018.